KieranTimberlake has long pushed the boundaries of conventional facade design. 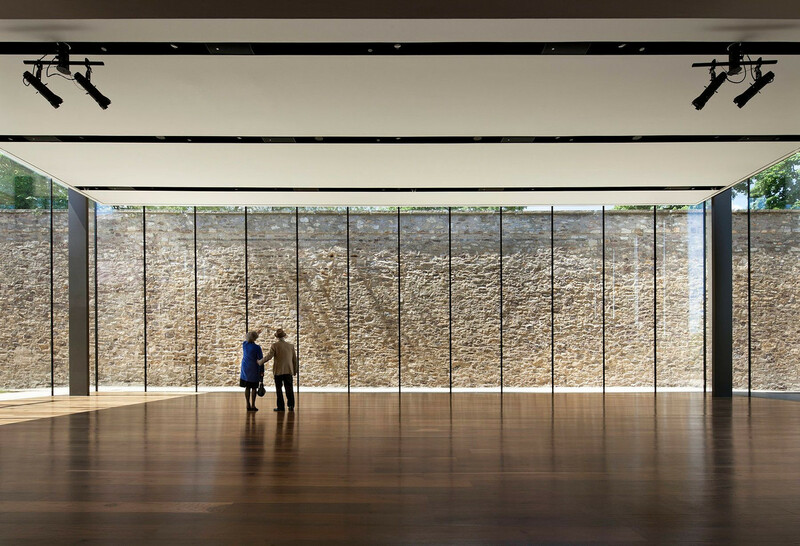 The Philadelphia-based firm started using pressure-equalized rain screen systems in the 1980s, well before other architects brought the technology on board. 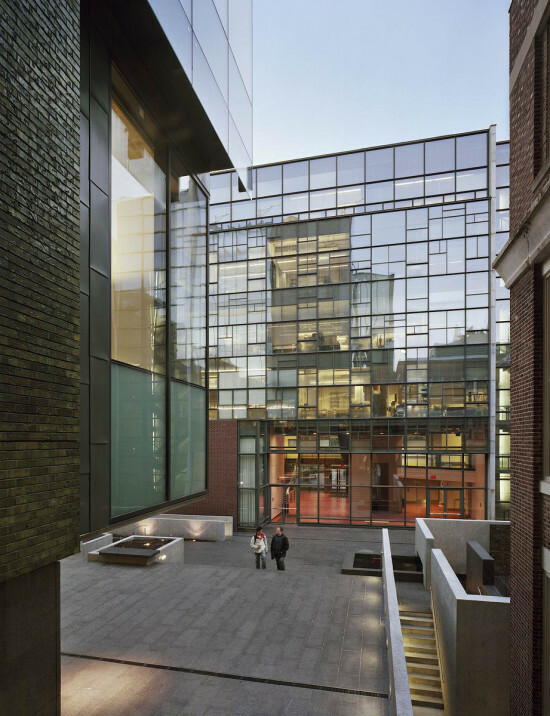 Their Melvin J. and Claire Levine Hall, at the University of Pennsylvania (2003), was the first actively ventilated curtain wall in North America. 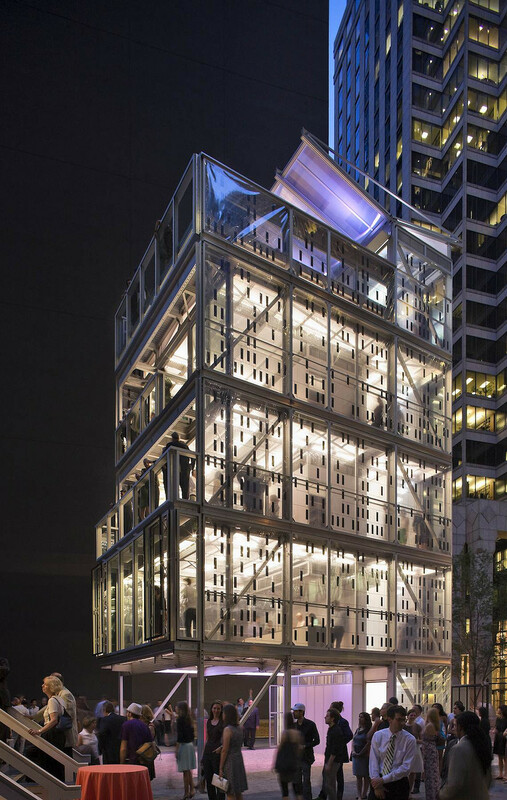 The designers at KieranTimberlake have introduced new materials and assemblies, such as the SmartWrap building skin deployed at Cellophane House, part of MoMA’s Home Delivery: Fabricating the Modern Dwelling exhibit. One of the firm’s latest projects, the Embassy of the United States, London, incorporates an outer envelope of three-dimensional ETFE (ethylene tetrafluoroethylene) panels with integrated photovoltaic cells. Moving facade manufacturing back to the United States would benefit manufacturers and designers as well as the economy in general, says Timberlake. “The President of the United States has, in the last few weeks, put out a clarion call for manufacturing to return to the USA rather than offshoring. I think we can be competitive; I think we should be producing innovative wall strategies here,” he said, noting the potential impact on unemployment. “There have always been [American] companies that have been innovative with bespoke strategies, but at this point they are considered niche constructors. In the long term we would like to see those niche manufacturers expand their market reach to be the distributors for some of these other types of facade strategies, or even return to producing the kinds of curtain walls that made the Lever House and Mies van der Rohe’s buildings in Chicago, and made the gleaming skyscrapers of LA.” Architects, said Timberlake, would benefit from greater integration and lower labor and shipping costs were facade manufacture to relocate from abroad.